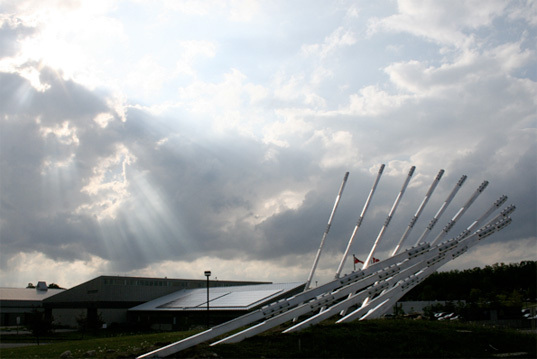 Inhabitat posted an article about Canada’s Solar Collector, designed by Gorbet Designs. 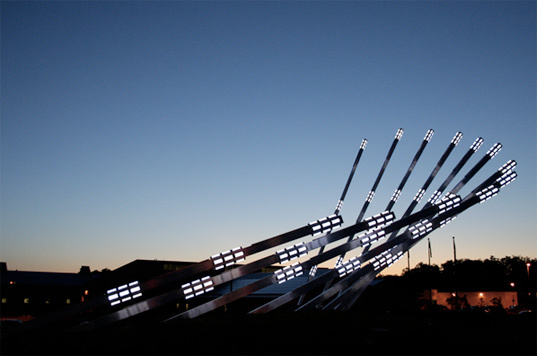 The Solar Collector is a large solar art installation that collects solar energy and simple we-based controls during the day, and collaborates them into a light show. Check out the great article at Inhabitat.